U.N. drug control officers said the Taliban religious militia has nearly wiped out opium production in Afghanistan -- once the world's largest producer -- since banning poppy cultivation last summer. A 12-member team from the U.N. Drug Control Program spent two weeks searching most of the nation's largest opium-producing areas and found so few poppies that they do not expect any opium to come out of Afghanistan this year. "We are not just guessing. We have seen the proof in the fields," said Bernard Frahi, regional director for the U.N. program in Afghanistan and Pakistan. He laid out photographs of vast tracts of land cultivated with wheat alongside pictures of the same fields taken a year earlier -- a sea of blood-red poppies. A State Department official said Thursday all the information the United States has received so far indicates the poppy crop had decreased, but he did not believe it was eliminated. Last year, Afghanistan produced nearly 4,000 tons of opium, about 75 percent of the world's supply, U.N. officials said. 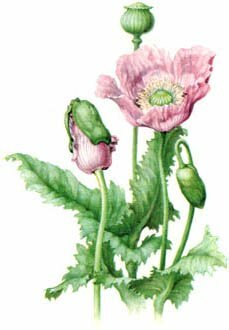 Opium -- the milky substance drained from the poppy plant -- is converted into heroin and sold in Europe and North America. The 1999 output was a world record for opium production, the United Nations said -- more than all other countries combined, including the "Golden Triangle," where the borders of Thailand, Laos and Myanmar meet. Mullah Mohammed Omar, the Taliban's supreme leader, banned poppy growing before the November planting season and augmented it with a religious edict making it contrary to the tenets of Islam. The Taliban, which has imposed a strict brand of Islam in the 95 percent of Afghanistan it controls, has set fire to heroin laboratories and jailed farmers until they agreed to destroy their poppy crops. The U.N. surveyors, who completed their search this week, crisscrossed Helmand, Kandahar, Urzgan and Nangarhar provinces and parts of two others -- areas responsible for 86 percent of the opium produced in Afghanistan last year, Frahi said in an interview Wednesday. They covered 80 percent of the land in those provinces that last year had been awash in poppies. This year they found poppies growing on barely an acre here and there, Frahi said. The rest -- about 175,000 acres -- was clean. "We have to look at the situation with careful optimism," said Sandro Tucci of the U.N. Office for Drug Control and Crime Prevention in Vienna, Austria. He said indications are that no poppies were planted this season and that, as a result, there hasn't been any production of opium -- but that officials would keep checking. The State Department counternarcotics official said the department would make its own estimate of the poppy crop. Information received so far suggests there will be a decrease, but how much is not yet clear, he said, speaking on condition of anonymity. "We do not think by any stretch of the imagination that poppy cultivation in Afghanistan has been eliminated. But we, like the rest of the world, welcome positive news." The Drug Enforcement Administration declined to comment. No U.S. government official can enter Afghanistan because of security concerns stemming from the presence of suspected terrorist Osama bin Laden. Poppies are harvested in March and April, which is why the survey was done now. Tucci said it would have been impossible for the poppies to have been harvested already. The areas searched by the U.N. surveyors are the most fertile lands under Taliban control. Other areas, though they are somewhat fertile, have not traditionally been poppy growing areas and farmers are struggling to raise any crops at all because of severe drought. The rest of the land held by the Taliban is mountainous or desert, where poppies could not grow. Karim Rahimi, the U.N. drug control liaison in Jalalabad, capital of Nangarhar province, said farmers were growing wheat or onions in fields where they once grew poppies. "It is amazing, really, when you see the fields that last year were filled with poppies and this year there is wheat," he said. The Taliban enforced the ban by threatening to arrest village elders and mullahs who allowed poppies to be grown. Taliban soldiers patrolled in trucks armed with rocket-propelled grenade launchers. About 1,000 people in Nangarhar who tried to defy the ban were arrested and jailed until they agreed to destroy their crops. Signs throughout Nangarhar warn against drug production and use, some calling it an "illicit phenomenon." Another reads: "Be drug free, be happy." Last year, poppies grew on 12,600 acres of land in Nangarhar province. According to the U.N. survey, poppies were planted on only 17 acres there this season and all were destroyed by the Taliban. "The Taliban have done their work very seriously," Frahi said. But the ban has badly hurt farmers in one of the world's poorest countries, shattered by two decades of war and devastated by drought. Ahmed Rehman, who shares less than three acres in Nangarhar with his three brothers, said the opium he produced last year on part of the land brought him $1,100. This year, he says, he will be lucky to get $300 for the onions and cattle feed he planted on the entire parcel. "Life is very bad for me this year," he said. "Last year I was able to buy meat and wheat and now this year there is nothing." But Rehman said he never considered defying the ban. "The Taliban were patrolling all the time. Of course I was afraid. I did not want to go to jail and lose my freedom and my dignity," he said, gesturing with dirt-caked hands. Shams-ul-Haq Sayed, an officer of the Taliban drug control office in Jalalabad, said farmers need international aid. "This year was the most important for us because growing poppies was part of their culture, and the first years are always the most difficult," he said. Tucci said discussions are under way on how to help the farmers. Western diplomats in Pakistan have suggested the Taliban is simply trying to drive up the price of opium they have stockpiled. The State Department official also said Afghanistan could do more by destroying drug stockpiles and heroin labs and arresting producers and traffickers. Frahi dismissed that as "nonsense" and said it is drug traffickers and shopkeepers who have stockpiles. Two pounds of opium worth $35 last year are now worth as much as $360, he said. Mullah Amir Mohammed Haqqani, the Taliban's top drug official in Nangarhar, said the ban would remain regardless of whether the Taliban received aid or international recognition. "It is our decree that there will be no poppy cultivation. It is banned forever in this country," he said. "Whether we get assistance or not, poppy growing will never be allowed again in our country. Should opium poppy production be legalised? "Taliban prepare to unleash their deadliest weapon"
Osama bin Laden: "heroin dealer" and "narco-terrorist"